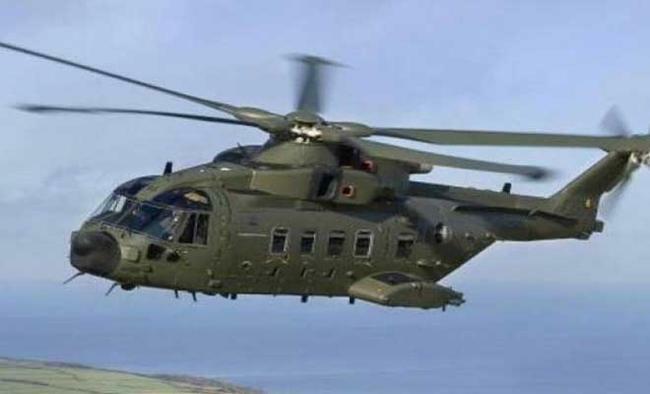 New Delhi: A court here on Saturday issued a fresh open-ended non-bailable warrant (NBW) against British national Christian Michel James and summons to a company and two other accused in the Rs 3,600 crore ($528 million) AgustaWestland helicopter deal. Special Judge Arvind Kumar issued the fresh warrant against James and fresh summons to Delhi-based Media Exim Pvt. Ltd. and its Directors R.K. Nanda and former Director J.B. Subramaniyam under Section 45 of the Prevention of Money Laundering Act after they did not appear in court. Public Prosecutor Navin Kumar told the court the summons issued against the three accused on the last date of hearing could not be executed.The court directed the accused to appear on February 22, the next date of hearing.The company will be represented by an authorised representative. After considering a supplementary charge sheet in the case, the court issued summons against the company and two individuals last month.The court said there is prima facie sufficient evidence against the accused. The Enforcement Directorate (ED) in June last year filed a fresh charge sheet against James and three others, including the company, in its ongoing money laundering probe into the helicopter deal.According to the ED, Media Exim is a shell company of James and allegedly incorporated for facilitating transactions of kickbacks paid to James by Finmeccanica, a group firm of AgustaWestland. James allegedly received around Rs 225 crore as kickbacks from AgustaWestland for the deal inked for the purchase of 12 helicopters in the guise of transactions for performing multiple work contracts in the country.The agency is said to have found that of the kickbacks received by James, Rs 6.33 crore was routed to India through his shell company Media Exim from his Dubai-based Global Services FZE. "Nanda and Subramaniyam were appointed Directors of Media Exim Pvt. Ltd., who willingly and knowingly connived with James and helped him in acquiring immovable and movable properties or assets in Delhi, which have already been attached," the ED said. James and other alleged middlemen Guido Ralph Haschke and Carlo Gerosa have been named as accused in separate investigations conducted by the ED and the Central Bureau of Investigation (CBI).Both the agencies have also notified an Interpol Red Corner Notice (RCN) against James after a city court issued a non-bailable warrant against him. Investigators said James is currently staying in Dubai.The first charge sheet was filed in the case in November 2014 against businessman Gautam Khaitan, his wife Ritu, Chandigarh-based firm Aeromatrix and Gerosa and Haschke.